You are not alone: More Business? How to Sell? How to sell online? Social Media? Ecommerce? I am a solution finder. I connect people. I am a salesman. I help people get more business. I am @socialsellingIE Let me help you. The lot who register your dot ie domain, or web, name, did a very small survey, but it does back up what I see every day. 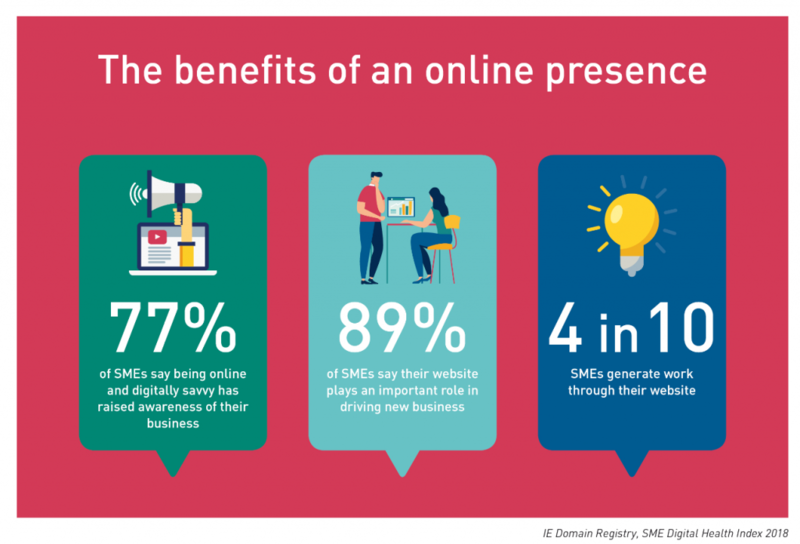 SMEs scored an average B grade in ‘communicating’ and ‘transacting’, indicating a fair to good use of digital assets to communicate online with customers, facilitate e-commerce and manage other business transactions online. So those who are online are doing an ok job. SMEs achieved an average C grade, in the ‘boosting’ category, indicating a ‘poor use or understanding’ of digital assets like business productivity software, online messaging platforms, online marketing and promotion tools or data analytics software. widespread inability of SMEs to use software and digital skills to improve business productivity, analyse customer data and promote an online presence. Now here is where I come in!!!! 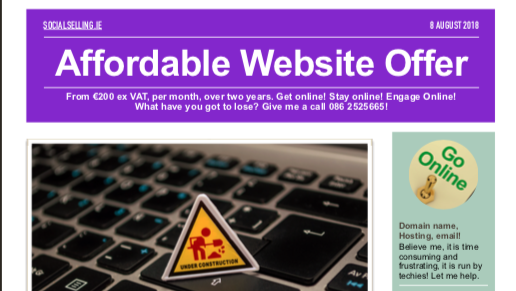 For those who are online already……..
only 3 in 10 SMEs can take sales orders through their website. 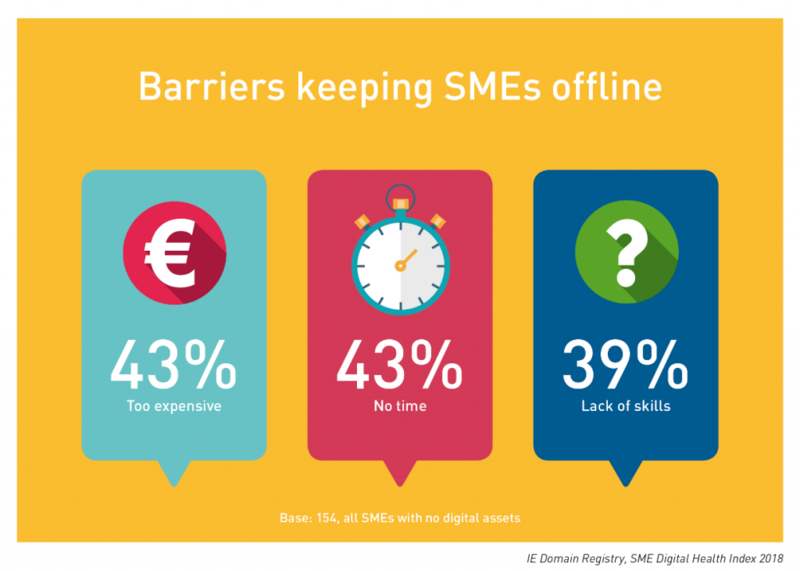 poor Internet connectivity (24%) as their barriers to going online. The beauty is, selling is my business, selling solutions are what I do, the internet is one of your workplaces, a target market, I have the time and the skills, use me! an undue level of fear, uncertainty and doubt among SMEs business owners. There are misconceptions about the cost and time required to establish and grow a digital presence. Fear is good, good for me, I am not afraid, I build websites that help businesses get more sales. I have been selling since 1988, on and offline. It is still about meeting the people, wherever they are. It is about helping them get to know, like a trust you. Would that help solve this problem? If you could get that for say, €200 a month over the next couple of years, would that help?